2 March 2016 – Western Digital Corporation today announced the expansion of its award-winning portfolio of performance storage solutions with 8TB capacity drives for NAS, video surveillance and desktop external applications. Increasingly centralized, rich-content, which continues to grow in popularity among enterprises, small business and consumers alike, is driving demand for greater storage capacities. Launching throughout the first half of 2016, My Cloud personal storage devices (My Cloud, My Cloud Mirror, My Cloud EX2 Ultra), My Book external hard drives (My Book, My Book for Mac, My Book Duo and My Book Pro), WD Red, WD Red Pro and WD Purple hard drives will all be designed with the new high-capacity configuration. 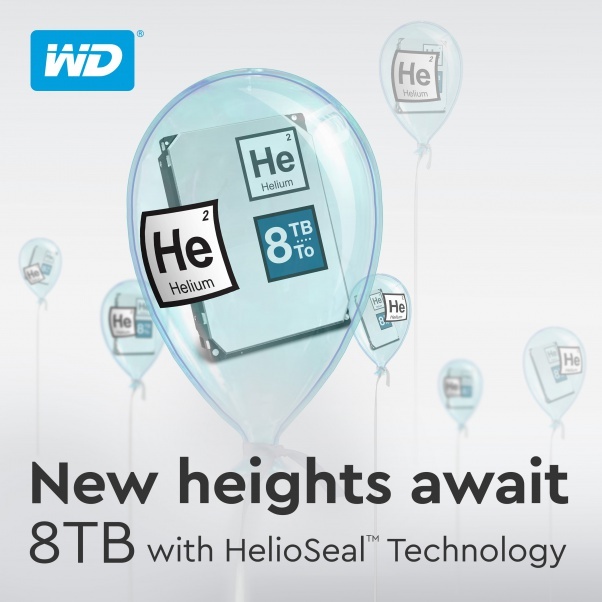 Each storage solution offers purpose-driven engineering and HelioSeal helium-technology with the new 8TB drives for maximum and efficient performance in the applications for which each model is designed. My Book Duo/My Book Pro – Dual-drive external hard drive solutions which provide ultra-fast storage in RAID-0 and complete backup and storage with USB and/or Thunderbolt connectivity and up to 16TB capacity. My Book 8TB will be available in March at select retailers and is distributed by Eternal Asia (M) Sdn Bhd in Malaysia. Manufacturer’s suggested retail price (MSRP) for the My Book 8TB (model #: WDBFJK0080HBK) is RM 1,499.00 (~US$ 359). My Cloud, My Book for Mac, My Book Duo, My Book Pro, WD Red and WD Purple 8TB configurations will be available during the first half of 2016.